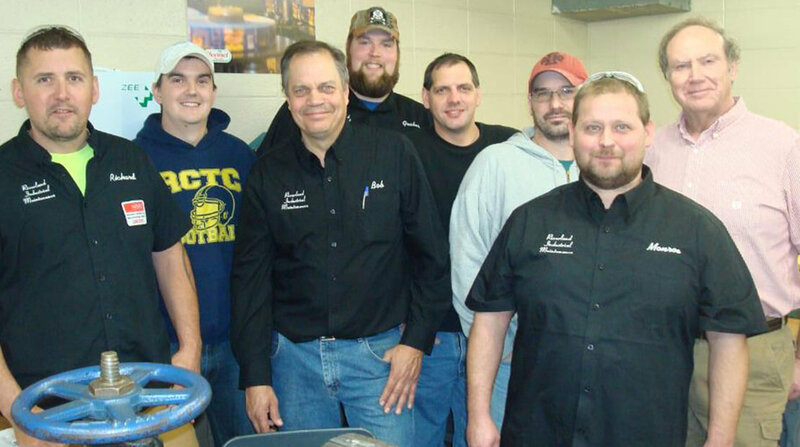 The Hormel Foods Austin (Minn.) Plant and Riverland Community College have partnered in their efforts with a new Hormel Foods Maintenance Trainee Program. With the lack of qualified candidates in the applicant pool over the last several years, Hormel Foods realized it was time to try something different. The company developed a new program where they offered an opportunity for their current production employees who showed initiative, mechanical aptitude and the desire to try a career in the maintenance field. The company had over 25 employees show interest in the program; five of whom were selected — two for the mechanical program and three for the electrical program. With this new trainee program, the company pays the employees for their time in class as well as their time doing on the job training (OJT). In addition, Hormel Foods and Riverland Community College also partnered together to apply for funding from The Minnesota PIPELINE Project Dual Training Program. The Minnesota PIPELINE (Private Investment, Public Education, Labor and INdustry Experience) Project is an innovative approach to address current and future workforce needs. It serves as a catalyst for developing industry-based, employer-driven, dual-training programs throughout the state. Hormel Foods employees participating in the program have shared their input on their experience. “The maintenance trainee program has benefited me tremendously because I’m able to pursue a career that I’m passionate about while still having time for my family,” said Mike Graber, current maintenance trainee. Hormel Foods announces new leadership hire Janet Hogan named as Hormel Foods vice president, human resources, effective January 17, 2017. Hormel Foods Finalizes The Sale Of Farmer John, Saag’s Specialty Meats and Three Farm Operations Hormel Foods has completed the sale of Clougherty Packing, LLC.